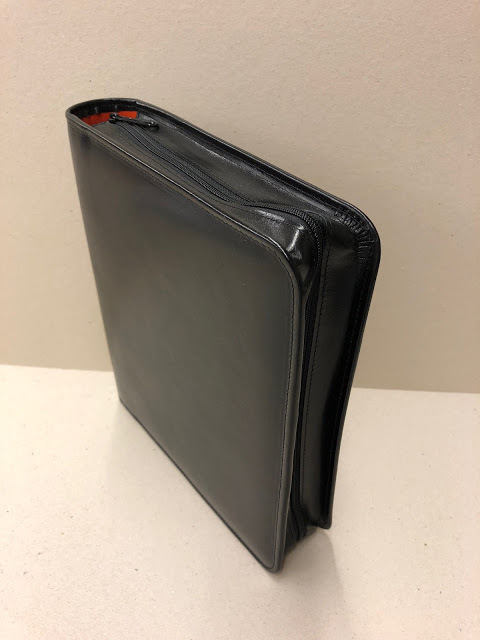 Here you can see a review of a Custom Made Manager A5 with Zipper. Thank you Guido! 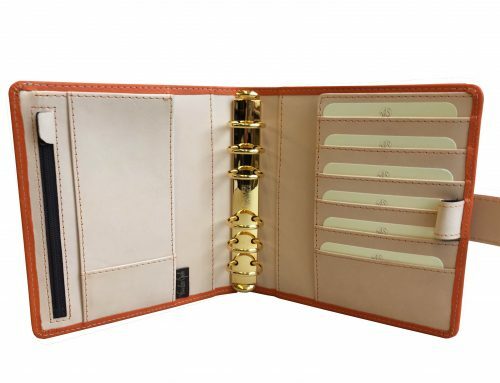 My A5 from diBerardino is the perfect planner: Italian leather, build-in page lifter, zipped. I could not ask for more….except perhaps bigger rings. They are 25mm and during the years I have developed a need for bigger rings. However, my binder has awkward fixtures for its back plate, so exchanging them for bigger rings is a no go. If you can get a pair to exchange them with by the way, because I have searched internet more than I bargained for without success. I tried other binders, such as a 35mm from Time/System, but these were clasped binders and not zipped. And do not get me started on pages getting stuck on rings which I despise. So I settled for a binder life less perfect and swapped inserts accordingly. Until my wife surprised me for our anniversary with a gift. She said I have been eyeing for bigger rings for so long, why not have VDS build you one! Did I mentioned that besides the perfect binder I have the perfect wife? Because I do! 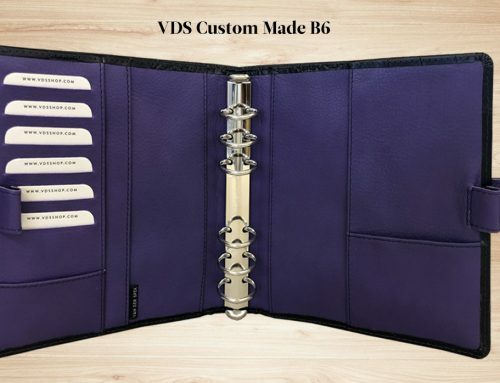 Before I placed my order I first contacted Petra to see if VDS would accommodate for my customisations – most importantly a zipped binder which they do not carry in their substantial collection of organisers. The short and sweet answer was no, they did not. So far for me and my wish list. Or was it? I do have an advantage when it comes to VDS: we are located in the same country! Their office is about an hours drive from my house – so I contacted Petra again and asked if VDS would be up for a challenge themselves: to build me the ultimate organiser. Petra used her charm on her dad and after evaluating my wish list Mr. Van der Spek accepted the challenge! I asked if I could come over and show her what my exact plans for my binder were. She agreed and some weeks after we met. She was very kind, showed me around the shop and explained how producing customised organisers works. Then we got down to business and I explained my wishes. Mr. Van der Spek soon joined the conversation. Their love for planners soon surfaced particularly when it came to my current binder: appreciation of craftsmanship, curiosity how parts were build, et cetera. Interesting conversations indeed. 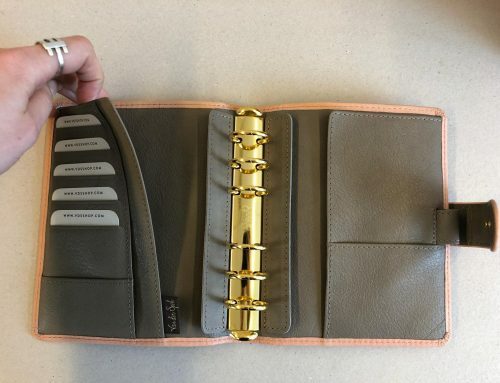 I asked for the following: a zipped A5 binder with 35mmm gold rings, 3 secretarial pockets on top of each other, business card slots on top of those pockets and 1 slip pocket underneath. In addition, I asked for a build-in fly leaf slash ring protector slash page lifter. And if the zipper was not challenging enough I asked for the rings to be placed off centre to the right. One of the reasons we need page lifters in the first place is because the rings are in the centre of the organiser. If the rings are located to the right (see for example Chronoplan or Tempus A5; both from Germany) then you eliminate half of your problems. My diBerardino has a similar layout. Such a customisation does require additional filling of the organiser (VDS calls this blown up) and alterations to the back plate as well (because these tend to be rounded rather than flat as they are meant to be installed in the spine of the organiser). To their surprise I did not want pen loops. They get in the way of my dividers and my pens do not fit most pen loops anyway. Moreover: I already have 2 pen cases from VDS so no need. In terms of colour I chose to fit the binder to my pen case (I know: that is usually the other way around!). 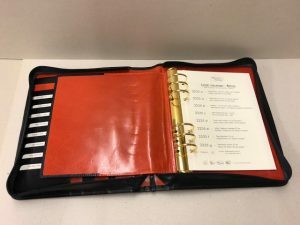 And this Saturday I received my custom binder! Which now leaves me with one challenge: what to do with my other near-perfect binder? I hate to leave it unused although I am an one-binder guy. 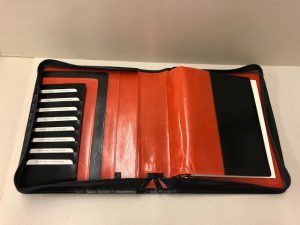 I am open to suggestions: what do you do with multiple planners if more than 1 are great? 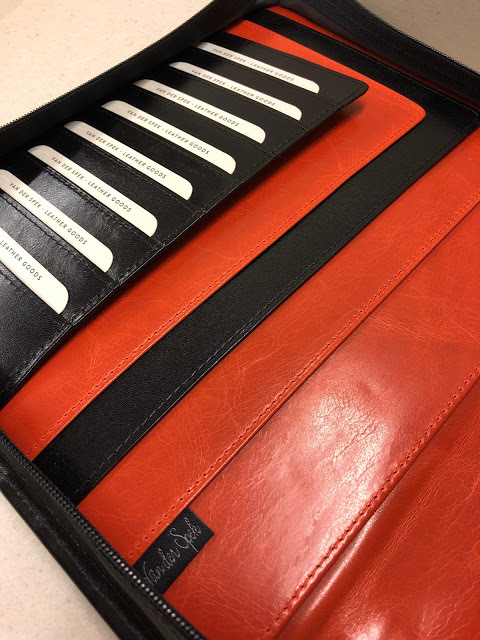 A huge thank you to Petra and Mr. Van der Spek for making my ultimate organiser! It is beautiful! 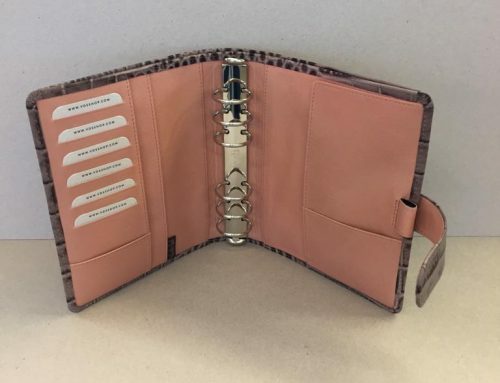 I am looking for an A5 zipper organizer that has room to accommodate many pens/pencils rather than credit cards.